This mega event attracted totally 562 players, out of them 318 rated players and 244 unrated players from various state of India mostly from Tamil Nadu besides Karnataka, West Bengal, Puducherry, Telangana, Himachal Pradesh, Andhra Pradesh, Goa , Kerala and Maharashtra were participated in this 8 round Swiss league event with a time control of 90 minutes plus 30 seconds increment from move no. 1.
International master Ramnathan Balasubramaniam had the privilege of heading the ranking list. 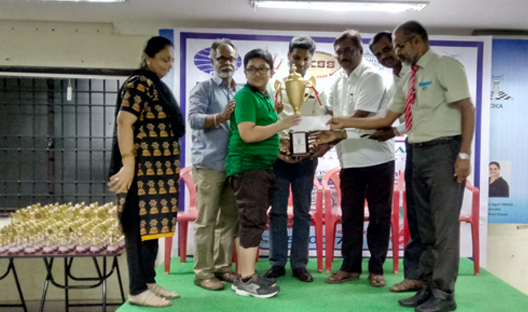 Tournament Started with Inauguration by Mr. Stephen Balasamy P, General Secretary of Tamil Nadu State Chess Association, followed by Player meeting on 21st April 2018. 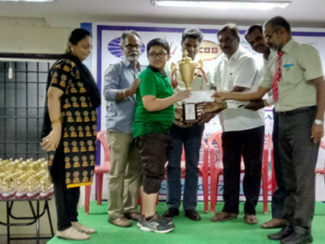 The prize distribution function was held on 24th April 2018 followed by Prize Distribution function facilitated by Mr. Sundeep Vasu Director of Vedanta Academy CBSE school, Mr. Gopalakrishnan, FIDE Trainer& Former Treasurer of TNSCA, Mr. Subramanian Coordinator of TAMILNADU Open University & Director of NICT Computer Centre, Mr. Radhakrishnan Principal of Rajammal Vidhyalaya School. Srihari L R of Tamil Nadu emerged as winner, followed by Vinodh Kumar B of Puducherry and Mushini Ajay of Andhra Pradesh. Srihari L R received Rs. 30,000/-, Vinodh Kumar B collected Rs.18,000/- and Rs.12,000/- were awarded to Mushini Ajay.